What is Sound Healing/Reiki Therapy? 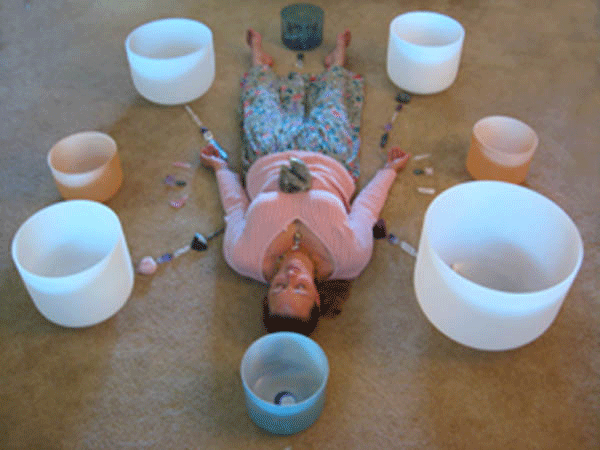 Crystal Singing Bowls have a vibration that harmonizes and balances the body, mind and spirit. The vibrations may have an effect on the spine, a powerful sound resonator in itself . The vibration from the sound moves along the nerve pathways to the organs, tissues, and cells in turn affecting blood circulation, metabolism, and the endocrine system. Sound/Reiki Healing Therapy balances the chakras, cleanses the auric field, and assists in balancing the hemispheres of the brain. What you can expect from a Sound treatment is profound relaxation, more ease in meditation, and complete overall feelings of bliss.